The Bristol 192 can fly and land safely on only one of its two engines. It is the first Helicopter in the world with true twin-engine safety. 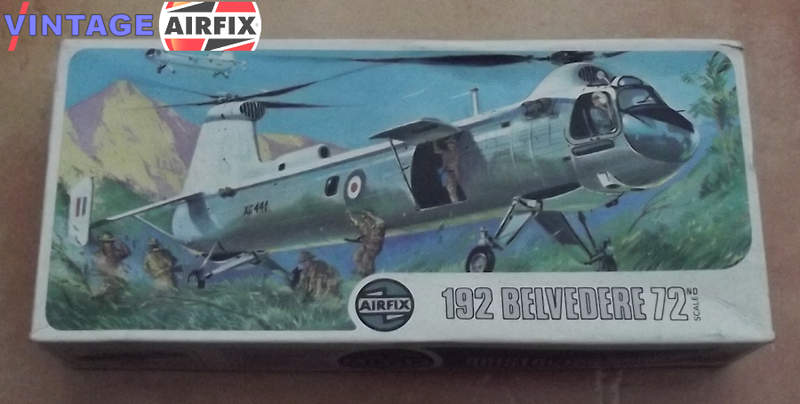 It first flew in July 1958 and is built by the Bristol Airplane Company. In its assault role, 18 fully-armed troops can be accommodated, and here is another opportunity where Infantry Combat Troops from the S3 scale figure series can be used with true realism. 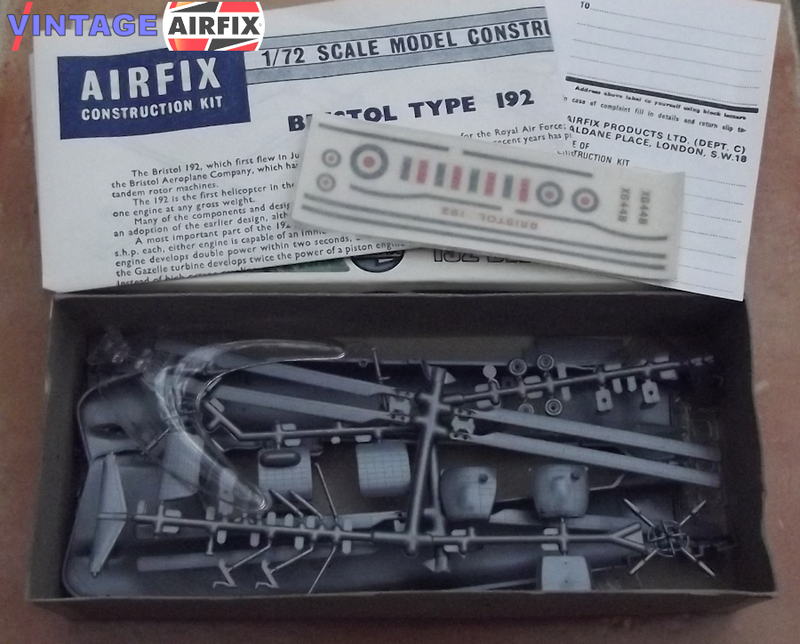 This Airfix kit contains 50 detailed parts and some idea of its considerable size can be seen from the fact that the rotors are of 8 inches diameter.